Habarana is a SMALL CITY in the Anuradhapura District of SRI LANKA. 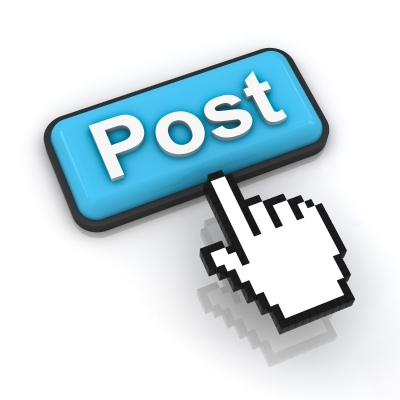 The city is famed for its chain of high class tourist resorts. Habarana is a popular tourist destination for SAFARI lovers as it is the starting point for safaris in the nearby Habarana jungle and the Minneriya sanctuary which is heavily populated by elephants. Elephant back riding is also an attraction in this small city. Habarana is situated nearby to the ancient rock fortress and castle/palace ruin of Sigiriya and is situated on the main road from Colombo to Trincomalee and Polonnaruwa. This wildlife sanctuary affords ample opportunities for guests to enjoy close encounters with wild elephants, especially during the dry months of August and October, where MORE than 300 elephants gather on the shores of the reservoir. A Jeep Safari to this jungle would be an amazing experience. 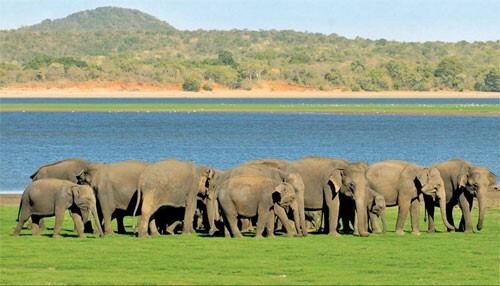 Kaudulla National Park is located 224 km away from Colombo and is a national park. It was pronounced a national park very recently (April 1st of 2002) becoming the 15th park in the country. The Birdlife International indentifies Kaudulla as an Important Bird Area. Before becoming a national park it was one of the 16 irrigation tanks built by King Mahasen. It attracts a variety of plant and animal life with a large prominence in large mammals, fish and reptiles. 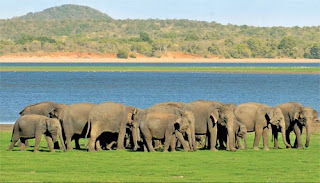 One of the most memorable Sri Lankan experiences is the Safari Village Tour. You will get an insight of village life style. Climb the amazing rock of Sigiriya with its impregnable palace fortress built in the fifth century and enjoy the magnificent views over the once magnificent royal pool, the throne, remains of the majestic palace, walk ways and gardens. As a part of SRI LANKA's cultural triangle Dambulla is close to the ancient sites of Polonnaruwa, Anuradhapura, Sigiriya and the former capital Kandy. 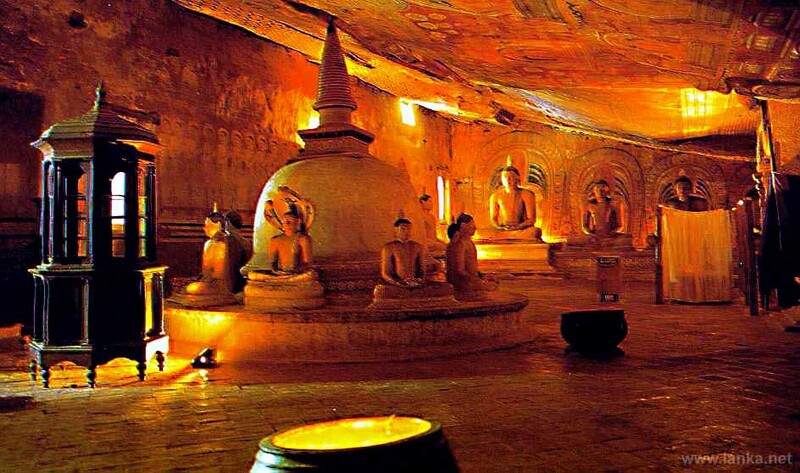 Dambulla Cave Temple first came to use as a refuge for King Valagambahu in 1st century BC. Concealed by the local monks upon returning from exile to his throne at Anuradhapura he had the magnificent cave temple built for them. The cave temple consists of a complex of Buddhist image houses. Its rock ceiling is one large sweep of colorful frescoes, some of which dates back to over 2,000 years, which depicts Buddhist mythology, and the tales of the Buddha's previous births. This cave temple has the largest number of Buddha statues all housed in one place, including a 14-meter-long, colossal figure of the recumbent Buddha carved out of the rock. Jathika Namal Uyana is one of the many noteworthy attractions in Dambulla which lay hidden for centuries until it was discovered and brought to public attention by Venerable Wanawasi Rahula Thero over a decade ago. Since then, many travelers have frequented this lush forest, surrounded by greenery and wildlife.